The race stewards at Suzuka had a busy race on Sunday - but what was the thinking behind each of the penalties? 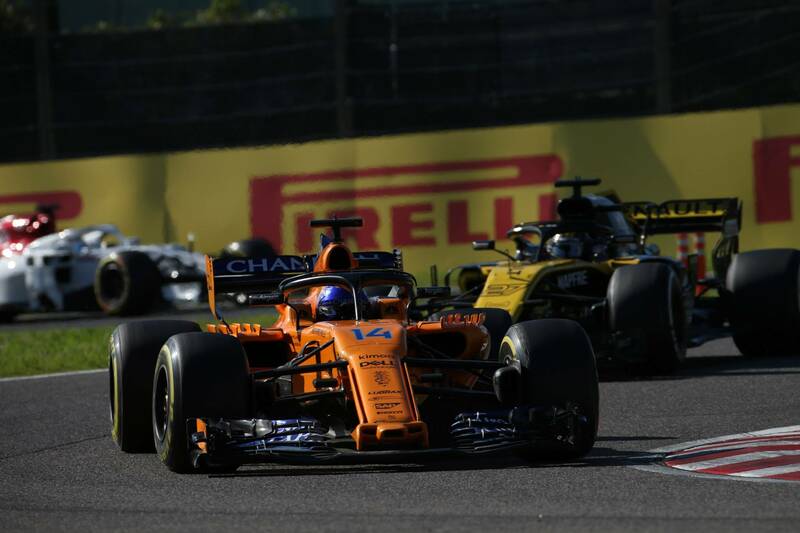 Formula 1 race director Charlie Whiting has explained the reasoning behind the stewards' decisions in Sunday's Japanese Grand Prix following a number of on-track incidents that resulted in investigations. The stewards opted to look into four major incidents through the race, handing out three five-second time penalties, two of which in fact stemmed from the same incident. The stand-out collision came between Sebastian Vettel and Max Verstappen on Lap 8 as the pair fought for third position, with contact being made on the run to Spoon. Vettel tried passing Verstappen up the inside, only to spin and drop back to 19th. He was able to recover to sixth, but now sits 67 points off the lead of the drivers' championship after Lewis Hamilton took his sixth victory in seven races. The collision was looked into by the stewards, but Whiting explained after the race that it was seen as a “bit of a classic” racing incident, prompting no further action. “Seb tried to get up the inside, it was a reasonable move, got halfway alongside, Max turned in - a bit of a classic really,” Whiting explained. Verstappen compared the collision after the race to his previous run-in with Vettel at the Chinese Grand Prix back in April, when he was hit with a 10-second time penalty after causing contact that sent both cars into a spin. However, Whiting did not see the clash at Suzuka in the same way. “That was at the hairpin, he came charging down the inside into the hairpin and almost T-boned Seb. I don’t think there was any similarity between those two,” Whiting said. While Verstappen avoided any action for that clash, he had by that point already been hit with a five-second time penalty for running Kimi Raikkonen off the road while trying to defend third place in the opening states of the race. After locking up at the chicane, Verstappen ran deep, forcing Raikkonen onto the kerb and causing the Ferrari driver to lose a place to Vettel. The stewards felt Verstappen had rejoined the track unsafely, resulting in the penalty, which the Dutchman called “ridiculous” after the race. “The first one was quite clearly a penalty, because Max went off the track and rejoined the track unsafely,” Whiting said. Kevin Magnussen was forced to retire from the race early on following contact with Charles Leclerc as the two battled for 12th position. Leclerc’s front wing touched the rear of Magnussen’s car after the Haas driver tried to dive past into Turn 1, resulting in contact. 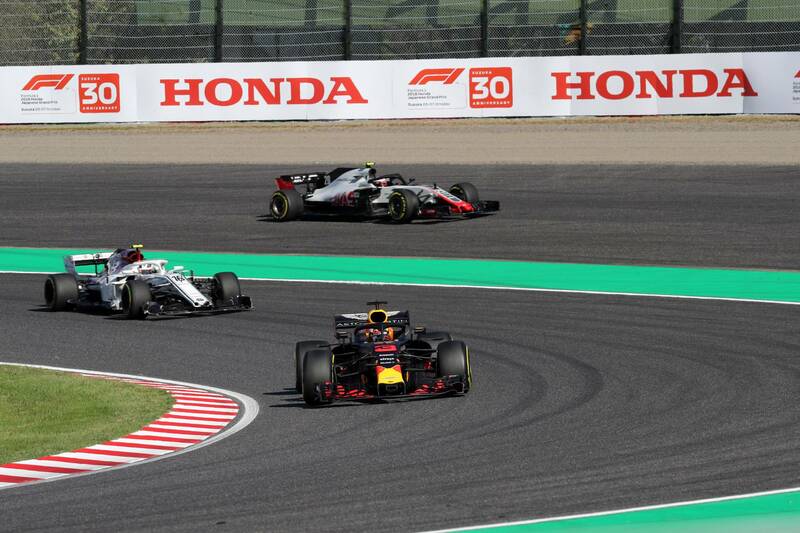 Leclerc called Magnussen “stupid” for making a “dangerous” move, but Whiting revealed after the race that the stewards saw both drivers tried to change position at almost exactly the same time, resulting in the incident. No action was taken for it. “It was in two bits as you know, on the straight and then in the corner. He got the puncture in the first one,” Whiting said. “If you analyse it very, very carefully, what you see is two cars coming down with Kevin not moving, and then Charles catches, catches, catches, he decides to go to the right, and at exactly the same time, on the video, one frame, there’s one frame difference, then Kevin moves. The final big incident from the race was between Lance Stroll and Fernando Alonso on the opening lap of the race, with both drivers receiving five-second time penalties. Stroll was seen to have forced Alonso off the track at the entry to the chicane when defending his position, having passed the Spaniard on the run from Spoon. The move was deemed dangerous, resulting in the Williams driver receiving a penalty. “I think the stewards felt it was perfectly clear what Fernando did. He cut the chicane, drove quickly across the gravel, came back on well in front,” Whiting said. “I think that was pretty clear that he had gained an advantage by leaving the track. The stewards however felt that Stroll had actually forced Fernando off. You couldn’t say that because Fernando was forced off, he was entitled to cut the chicane. He wasn’t. He shouldn’t have taken the place by doing it. “But equally, Stroll shouldn’t have pushed him off the track. They felt that each driver should be given a five-second penalty for two separate offences. Alonso received one penalty point on his FIA Super License for the incident, taking him up to three for the 12-month period. Stroll received two penalty points, leaving him on six for the last year, while Verstappen is now up to eight points. Any driver receiving 12 points in 12 months receives an automatic one-race ban.